Trains. Thomas the Tank Engine popularised them and now they are an absolute staple of children´s bedrooms everywhere! That is why this customisable train sticker is such an amazing idea! Depicts a multicoloured train trundling along, with the letters of a name in each carraige! 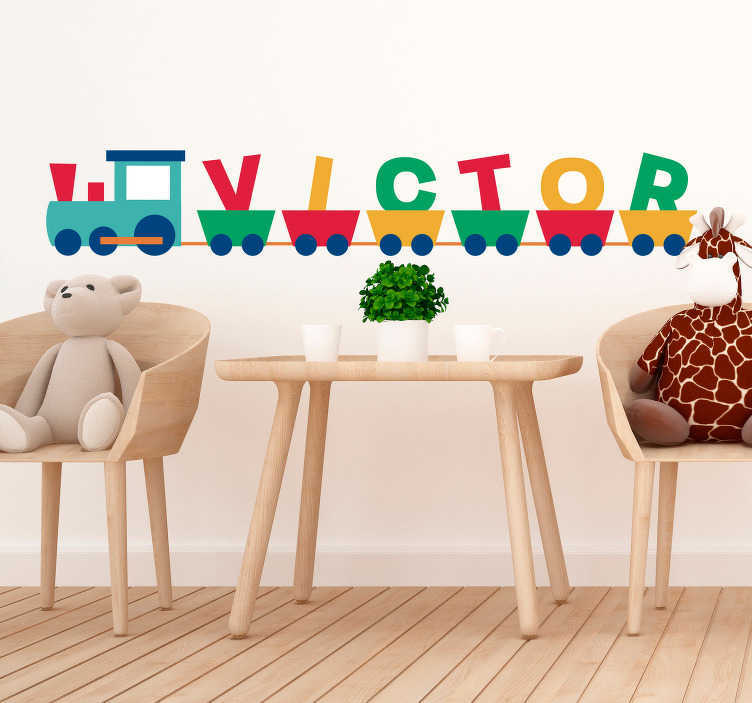 The customisation possibilities for this nursery sticker are endless - you can add more carriages, you can change the colour of some of the carriages, or you can simply change the name included!